The selection of winner in the Republic of Korea Air Force’s (ROKAF) multi-billion dollar F-X Fighter programme could be postponed at any time if in the national interest, the country’s arms procurement agency’s head has revealed. Defense Acquisition Program Administration (DAPA) commissioner, Noh Dae-Rae, said: ”Our plan to make a decision by the end of October is not a deadline, but a target." DAPA has already received proposals from three aircraft manufacturers, which included US companies such as Boeing, Lockheed Martin and European EADS Consortium, for the KRW8 tn ($6.9bn) fighter jet contract on 18 June. Boeing had proposed F-15 Silent Eagle, while Lockheed and Eurofighter offered F-35 Lightning II Joint Strike Fighter (JSF) and the Typhoon, respectively, for the competition. In accordance with the original plans, the test flights were scheduled for September, followed by announcement of the winner in October 2012; however, the bidding was cancelled by DAPA, citing errors in the relevant documents. DAPA had set a new deadline of 5 July 2012 for the submission of bids. The process ran into controversy after Lockheed refused real test flights by ROKAF’s pilots, to assess the performance of aircraft and rather stressed for evaluation by using simulators, saying the fighter is still being developed. The ROKAF is planning to acquire a total of 60 advanced fighter jets as part of the contract, with aim for deployment from 2016. 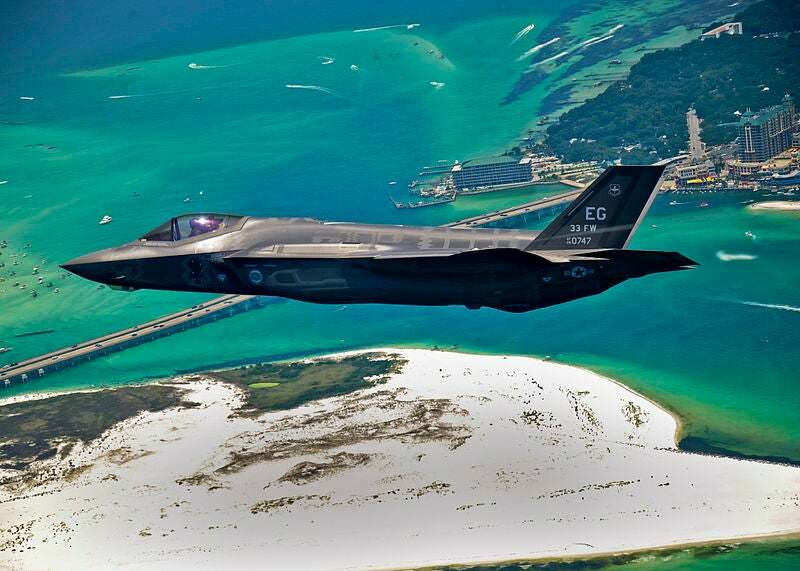 Image: Lockheed Martin has offered the F-35 Lightning II JSF for the ROKAF’s F-X Fighter competition. Photo: courtesy of Staff Sgt. Joely Santiago, US Air Force.